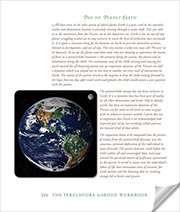 Pan on Planet Earth (Part 13) - Perelandra Ltd.
Earth Day is just a week away. A perspective from nature and a different way to think about what's happening around us. It will help you to step out of the forest for a moment and consider the choices we face when relating to nature. And it reminds us of our place in the universe. You already know, "it is not enough to move about the planet in a state of benevolent love for it." 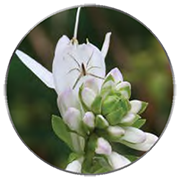 This message Machaelle shares from nature is an encouraging reminder of why you are taking the time to choose differently and learn this new way to garden. These words just might give you the push needed to try a partnership with nature, with one small pot of flowers or a single potted plant. Each of our co-creative gardens, no matter the size, type or location, gives us a concrete way to participate in "deep planetary change and universal movement." Read, then share this message with someone you know who would appreciate a new way to connect with nature. An excerpt from The Perelandra Garden Workbook by Machaelle Wright. If you feel overwhelmed, get stuck or have questions about working with nature, call our Question Line. We enjoy helping you through blocks, and keeping the steps manageable and simple.